The Spanish word for sloth is ‘oso perizoso’ - lazy bear. Learn all about these charismatic jungle dwellers while touring Aviarios de Caribe, a wildlife research and conservation center in Cauhita. 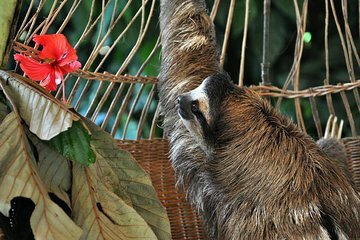 After meeting some of the sanctuary's residents, enjoy a boat ride down the Rio Estrella and a short hike to look for sloths in the wild to see first hand the valuable role they play in the rainforest ecosystem.